There's nothing that compares to staying in the “middle of the magic”. Select a Walt Disney World resort and there you are! Experience the Disney Difference… with more than 25 unique Resort hotels, there are accommodations for every family’s needs and budget. 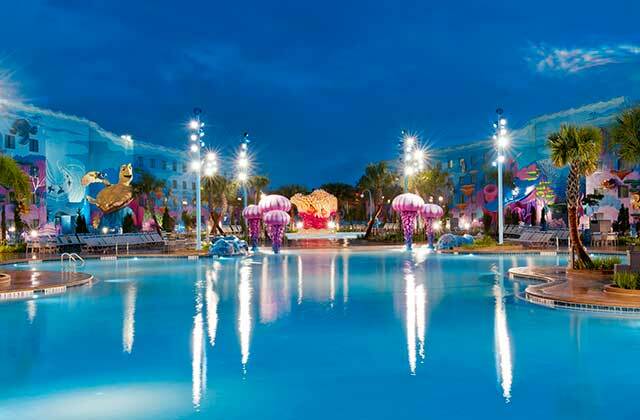 With special benefits and legendary service, Disney Resort hotels complete a Disney vacation experience. Extra Magic Hours: Guests of select Walt Disney World Resort hotels enjoy extra time in the parks before they open and after they close! Each day, select attractions are open longer at one of the theme parks. To see when Extra Magic Hours are offered for each park, view today’s park hours or consult the Times Guide, available from the Lobby Concierge and found in your Welcome Folder received at check-in. Valid park ticket and Resort I.D. required. Guests without the Park Hopper® option can only spend the day at the same park where they’d like to enjoy the Extra Magic Hours benefit. 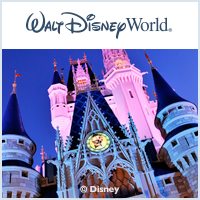 Disney's Magical Express:Start and end your stay with complimentary motorcoach transportation to and from Orlando International Airport and select Walt Disney World Resort hotels, with complimentary luggage delivery. Dining Plan: Guests selecting accommodations at a Disney-owned and – operated resort hotel can book Disney’s Magic Your Way Package Plus Dining, which includes two meals per day and a snack per person, per package night at more than 100 select restaurants across the Vacation Kingdom. Online Check-In - Simplify your arrival by starting the check-in process online before your trip.. Start your check-in online beginning 60 days before your stay at select Walt Disney World Resort hotels. Then when you arrive, simply head to the Online Check-In Desk, where your Welcome Folder and MagicBand will be waiting. Show your valid photo I.D., complete your check-in and you’re on your way!